Likes and views and retweets and pins. This is the currency of inbound marketing. But one user interaction is far more valuable than all of those combined … the book purchase. In our latest article, we delve into what it takes to make the ultimate inbound marketing move. Read on for insider advice from both sides of the publishing industry — a literary agent responsible for selling 200 million+ books, and a VP of marketing at HarperCollins. Blog posts, videos, white papers and tweets are all great ways to get your brand’s message out there using content marketing and to attract potential customers to your brand. Many of these content mediums are digital and quite modern. But one powerful content medium is decidedly old school, an innovation from Gutenberg, not Zuckerberg — the printed book. A book provides a credibility indicator for any business leader, brand or consultant. The saying, “She wrote the book on [Topic]” literally means to be the authority on a topic. Anyone who has taken the time to read (and has gotten value from) your book is likely an excellent potential customer for your company. And the activities surrounding a book promotion — from public speaking to media interviews to complementary content creation — are another way to get your brand out there even if many of the people exposed to it never buy or read your book. But these benefits are also readily apparent to your competitors. Publishing a book is a very challenging endeavor. Just walk into any library or bookstore — there is no shortage of books. And if you’re not careful, you’ll only have wasted your valuable time and budget. So to give you the inside track on boosting your (corporate or personal) brand through book publishing, I talked to the gatekeepers to your publishing success — a literary agent and a marketing leader at a book publisher. We just finished several rounds of testing, experimented with dozens of prototypes, and are considering multiple offers from publishers for The Marketer as Philosopher by Flint McGlaughlin, CEO and Managing Director of MECLABS Institute (parent research organization of MarketingSherpa), so this was more than an academic exercise for me. 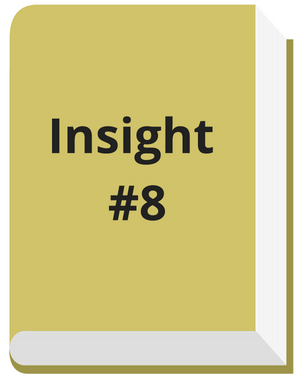 Here are eight insights for marketers I gleaned from these experts. James Patterson and J.K. Rowling have made big bucks on their books, but most business authors won’t profit directly from book sales per se. If your brand or thought leader is going to publish a book for the first time, your goal should be the content marketing benefit that comes from publishing a book and not direct revenue from selling the book itself. It is a branding tool, not a product. Gladstone is a literary agent, and he’s represented business authors like Verne Harnish (Scaling Up), Linus Torvalds (of Linux) and Peter Norton (of Norton Antivirus), but also other nonfiction authors like Eckhart Tolle and Marie Kondo. He was responsible for selling the first “For Dummies” book, a series which has sold more than 200 million copies across 50 titles. They also represent a lot of authors in the business space, but most of those books sell under 100,000 copies. Since it’s unlikely for a first-time author who isn’t a C-level executive for a major brand to get a big five publisher — Gladstone explained it as, “If you're starting up and you're an entrepreneur on your own, unless your best friend is Bill Gates or something like that and he's going to endorse you, it’s probably not going to happen.” — let’s take a closer look at self-publishing (although working with a major publisher isn’t impossible, see Insight #6 below). Even if you publish through a major publisher, it will likely cost you. 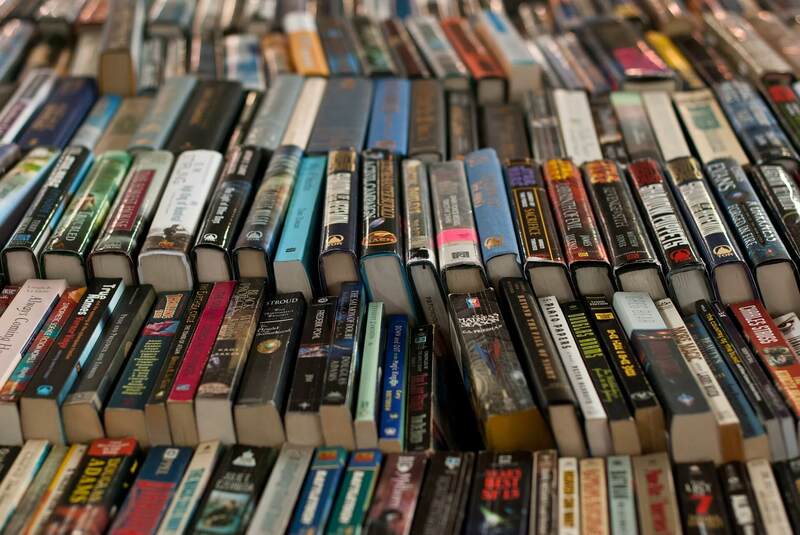 “Some of the bigger publishers would require, if you're an unknown, that you buy at least 10,000 to 20,000 copies of your own book through your organization,” Gladstone said. If you have a big enough profile though, the terms with a publisher might be very different. After all, a benefit of going with a publisher is having a partner with you to foot the bill. But again, if you’re a first-time author, you need a pretty high profile to get that lucrative of a deal with a publisher. Be prepared to be active in marketing the book if you’re self-publishing of course, but even if you do have a major publisher, you will have to be very involved in the marketing as well. “I would say 70/30, the work falls to the author,” Gladstone said. Brian Perrin, VP, Marketing, Harper Business & Harper Wave, HarperCollins Publishers, guessed it was closer to a 50/50 split, although he said it’s impossible to calculate exactly what that breakdown is. Perrin works on health and wellness books from authors like Cameron Diaz and business books from authors like Gary Vaynerchuck and Microsoft CEO Satya Nadella. His imprints publish only about 15 business books and 20 to 25 health and wellness books per year. He said other imprints of publishers might not assign a marketer until five months before publication, and that person could come from a central pool of marketers that works on everything from romance novels to cookbooks to business books. In these cases, it’s often on the editor to advise about the process for the author. “Editors are editors, you know. Some of them also think like publishers and marketers but some of them do not, so the advice you get there too can be really mixed,” Perrin said. If you’re a content marketer already and have built an audience, you will have a leg up. Your audience is used to your content and trusts your content, so the book will just be the next evolution of that content. Although getting people to buy and read a book is a much bigger ask then getting them to read a blog post. Perrin mentioned that one surprise for many marketers and businesses is that books don’t tend to sell with the marketing tactics that they are used to. “None of the marketing or branding or word spreading about a book works in any way similar to what most people who think of themselves as marketers are familiar with. You really can't sell a book on Facebook. It does not work. You really can't sell on Twitter,” he said. Beyond your traditional marketing practices, there are some practices unique to the book industry, but they will cost you. For example, don’t expect your self-published book to automatically be in bookstores. “The problem with self-publishing is there's 100,000 plus self-published books and there's no actual distribution for those books. You can do a deal yourself with [Amazon’s] CreateSpace and you know, the book will be available, but no bookstore will carry the book,” Gladstone said. There are companies that will help with distribution to bookstores for a cost. For example, Waterside has what Gladstone calls a hybrid publisher (a combo of self-publishing and a traditional publisher) — Waterside Press — that can get you into bookstores through a distribution relationship through Ingram’s Two Rivers Distribution. Bookstore placement matters as well. Another challenge for marketers used to doing things a certain way is that they should not sell directly to customers. For one, that would inhibit their ability to get on a best-seller list (more on that in a moment). But it can also limit the channels you are able to distribute your book through. “If Barnes & Noble sees somebody who has a huge audience and is selling books directly to the audience, surely Barnes & Noble has better options for devoting their front-of-store tablespace,” Perrin explained. Beyond bookstores, an airport kiosk placement will cost you six dollars per book, but it’s not guaranteed. “It's not automatic just because you pay six dollars. To get your book in, it has to be a book that kiosk feels is going to turn rapidly and generate revenue,” Gladstone said. The kiosks even have their own metric — dollars per cubic inch per time. And what about the vaunted best seller lists? Perrin said that it doesn’t really help book sales. And the same holds true for Amazon’s rankings. “Somebody once made a joke and published their thumbprint. There's some crazy category, and they sold three copies of their thumbprint book to themselves, and they were number one in their category,” Gladstone remarked. Getting on these lists can help your brand objectives, of course, but Gladstone cautioned how hard that is, saying that 90% of the authors on The New York Times list are repeats, and maybe 50 new authors get on every year. He said The Wall Street Journal best-seller list is a little easier to get on for new authors, but still it’s only about 100 to 150 new authors making the list per year. 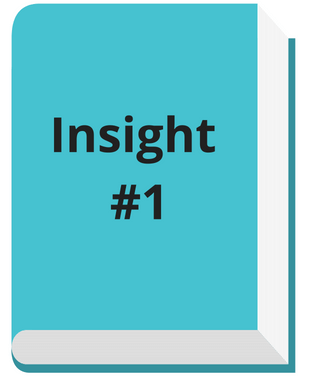 Word-of-mouth is crucial to book marketing. As with most products, having a high-quality product is very important. “If you have this massive email list that always delivers and you get it out there and 25,000 people buy it right away — which would be a great sale, we’d be really happy with that — if those 25,000 people don't love the book that they get, the book is dead in the water from that point on. The thing that makes books sell is word of mouth once it's out there,” Perrin said. “The spillover from selling 30,000 copies to his own customers was people started to find out about the book and they probably sold another 50,000 copies in bookstores. Over the life of the book, he still outsold the bookstores 2 to 1.” Harnish has sold a total of 150,000 copies of the book to date. And the reverse is true as well — writing a book can help you generate revenue through speaking, especially if you do get on that best sellers list. “If you want to be Tony Robbins or the next big management consultant that companies constantly hire to come in and talk, that best-selling credential can really help,” he said. Speaking ability is important for an author in another way as well — the audiobook. “Audiobook downloads have actually gone up in sales 20%. I attribute that to the smartphones,” Gladstone said. As mentioned above, while it is very difficult for a first-time author to get a publisher, it’s not impossible. Especially if your brand has its own audience that you’ve been building over time with your inbound marketing. 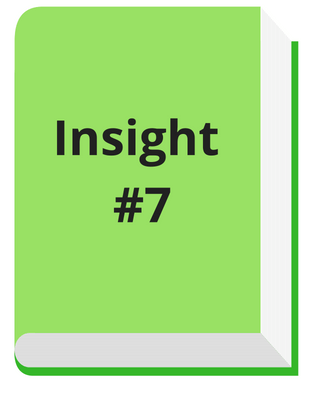 And frankly, your audience size and engagement can be a more important factor than your book idea. 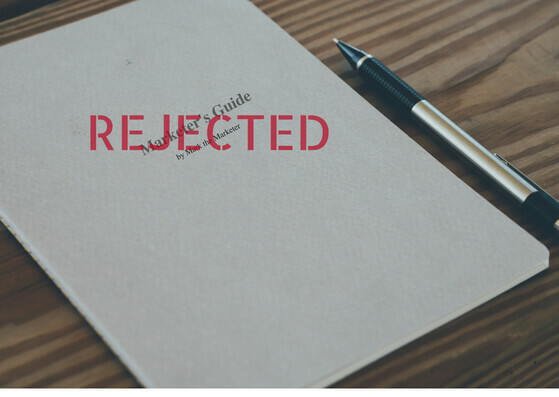 “The main reason we get rejected when we send out proposals is ‘author platform too small, author platform too small.’ Very rarely is it, ‘we don't like the idea of the book’ or ‘it's not well written,’” Gladstone said. Except in very rare circumstances, “you won’t get a major, traditional publisher unless you have a literary agent. That’s the system. They don’t want to deal with what they call unrepresented submissions,” Gladstone advised. Those rare circumstances do exist, however. Perrin explained it like this, “That is a misconception that we encourage because we don't want to be overwhelmed with submissions.” Harper does consider business authors — especially high-profile authors like a CEO of a large company — without an agent, but most publishers do appreciate authors that use agents. You can expect to pay 15% commission for a literary agent, but you need to get one first. And that isn’t easy. To get a literary agent, Gladstone advises crafting a one-page query letter with your credentials, the topic of your book, and how you’re going to market the book. He said there’s probably only about 300 agents in the whole country, with probably only 100 in the business genre. You can find 20 or 30 (see related resources at the end of this article for where to find agents) and send them a query letter. Another way to find agents to pitch, Perrin says, is to go to a bookstore and look for books that are similar to what you’re trying to publish. Then look at the acknowledgment pages and see what agent or editor the author is thanking. “Sometimes those addresses might be hard to find, but you could probably just Google them,” Perrin said. “The best way really to get an agent is through your network. Have someone who already has a literary agent recommend you to their agent — 99 percent of our clients have been through referrals. Very, very few times we pick up somebody cold that is not referred,” Gladstone said. 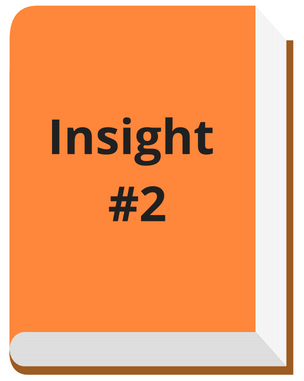 One benefit of inbound marketing is significant control over your content. You can publish whatever you want on your own blog, Facebook, Twitter, LinkedIn, YouTube and the like (as long as you don’t violate the very broad terms of service). Likewise, most CEOs and other high-powered business executives are used to calling the shots and conducting business on their terms. However, a publisher will be much more involved in the process. An editor might ask for a book rewrite, for example. But Perrin believes that the editorial process is a key benefit of going with a publisher. An experienced editor can ultimately help make a better product, although he admits it’s difficult to quantify that effect. “Our editors are so smart, and a lot of times we will send a book back for a complete rewrite. Of course authors hate that, but I guarantee you it makes the book sell better in the end,” Perrin said. The timeline is also out of your control. “An author works six months to 12 months to two years writing the book. They turn it in, and then they wait. It's still a long process to edit and design and layout and print and ship a book. So it can be six months to a year after they finished that manuscript before the actual book campaign begins and they understandably get very nervous,” Perrin said. Writing, publishing, and marketing a book is a huge effort. It will likely take your business leader’s time away from critical business functions and distract your marketing team from generating leads and sales. Of course, the upside to a successful book can be huge. As with any other product or campaign launch, just make sure all the key players are aligned on the investment involved and the desired outcome from the entire process. “Really take the time to clarify what your goals are. If it’s a big company, make sure every [key person] at every level of the company has been part of that goals-clarifying process,” Perrin said. “What we’ve seen happen is, we will buy a book from a CEO of a brand or a senior creative team within a brand who is writing the book. And they seem very clear on what the goal is. The brand marketing team wants a New York Times bestseller. They want the credibility as a way into maybe QVC or to a PBS special or something as a great marketing engine and a great way to get more brand awareness out there,” he said. “But then later as we approach publication and we go in for the big launch meeting, then the direct marketing team comes in and they haven't been part of any of those conversations. They don't understand any of those goals and they want to start selling the book right away directly to their customers. That's going to scuttle the other goal. So if the company itself isn't really super clear on what its goal is — bestseller credential versus real direct sales that are revenue-producing — it's going to be a really confusing publishing process,” Perrin concluded. And while you’re getting everyone aligned, don’t overlook the customer.